As a team, Langley’s third-grade teachers recently attended a conference led by Mary Ehrenworth entitled, “Writing About Reading: Reading Notebooks and Projects, Literary Essays, and Text-Based Arguments.” The conference challenged us to question how we are currently enhancing our students’ learning and how we can continue to raise the level of reading and literacy in the classroom. Close reading, how to prepare insightful written responses, and how to raise the level of reading were the topics of the day. As our world continues to demand more, we often find ourselves asking, “How can we prepare students for an unknown future?” “How can we motivate students to participate in higher-level thinking?” “How can we encourage students to refer back to the text to support their ideas?” This conference gave us tools to answer all of those questions through our teaching. The conference emphasized the importance of providing students with the tools to read a text closely and also highlighted that while the text is of vital importance, so are the students’ thoughts about the text. The emphasis was placed on students using their schema to take an in-depth look at the text and to look at reading in a way that they never have before. The idea that each person responds to a text in a uniquely different way because of his or her background knowledge is a strong motivation for students. Too often students are looking for the “right” answer, which limits their ability to delve deeper into a text. Mary Ehrenworth stressed that every student creates a different meaning from the text. Although the text remains the same, by looking through various lenses and focusing on different aspects of a text, our thinking in relation to that text changes and deepens. It is through this close reading and re-reading, and through the open discussion and the crafting of meaningful responses to the text, that we guide students toward transference, independence, and higher-level thinking. 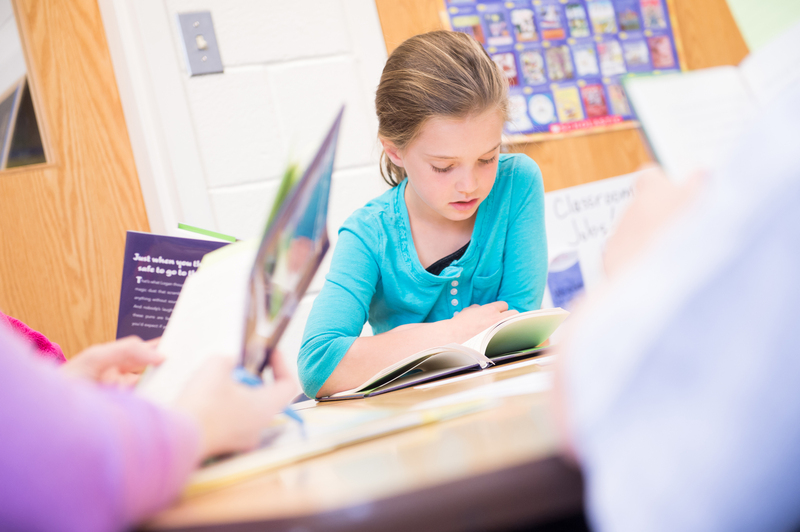 The way students respond to reading was something that really hit home for the third-grade team. One key point was that reading response journals needs to become similar to reading diaries. Students need to take ownership for both their reading and their thoughts about the reading that they do. This type of independence and transference does not just happen through traditional written responses, but rather when we allow students to explore different media. Through this type of work, we ask more of our students. We are asking them not only to reflect on their reading in words, but also to also use pictures, designs, and symbols to express their thoughts about their reading. In addition to making responding to reading fun, students are digging deeper, which provides opportunities to explore multiple avenues for expression and creativity. The last and perhaps most important piece of information that the conference reminded us was that reading volume matters! Reading, reading, and more reading will raise the level of intellectual reading. Mary Ehrenworth highlighted something we all know: reading will improve our reading. She explained that we want to move students to find a love for reading and the way to get there is for parents and teachers to have high expectations for them. She explained that research shows that in order for students to maintain their current reading competency, it is vital to push them to read a minimum of 30 minutes per day. In the end, we are asking more of our students. We are not simply asking them to read. Instead, we are asking them to immerse themselves in reading and respond creatively to it because the pay-offs are well worth the effort. The third-grade team and I are grateful to have had the opportunity to attend such an eye-opening conference which continues to impact how we teach. By creating an atmosphere which supports the professional development of its teachers, Langley encourages us to grow along with our students. This entry was posted in By Jessica Robinson and tagged Classroom Literacy, Close reading, Mary Ehrenworth, reading, students, The Langley School, Third-grade, Writing About Reading by langleyleopards. Bookmark the permalink.